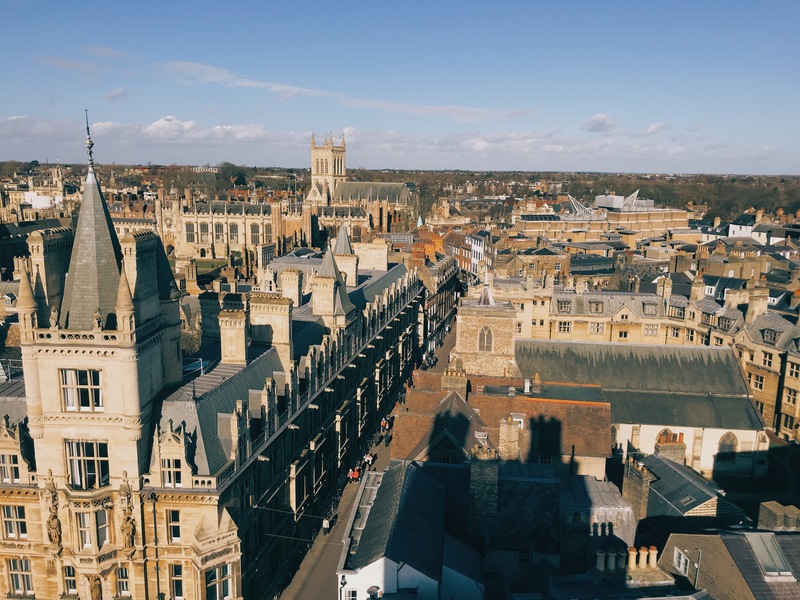 Just an hour away from London, Cambridge is the perfect place to visit on a day trip from the capital, especially since it’s so easy to reach. 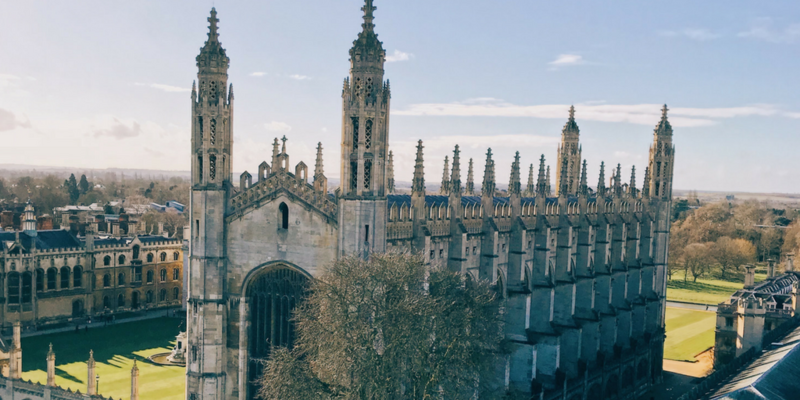 For example, you can travel to Cambridge from London very easily by train as there’s a direct line that travels from London’s King Cross Station to the town! I’d suggest checking out Train Line for accurate train times, although the usually run every half an hour. This said, my friend and I chose to drive to spend the day in Cambridge. Parking in the city centre is a nightmare but, Cambridge Park and Ride provides the perfect solution – Located just outside the town, you can park and catch the bus into the centre for just £5. When you visit Cambridge you’ll quickly notice that the town perfectly blends modern life with tradition. 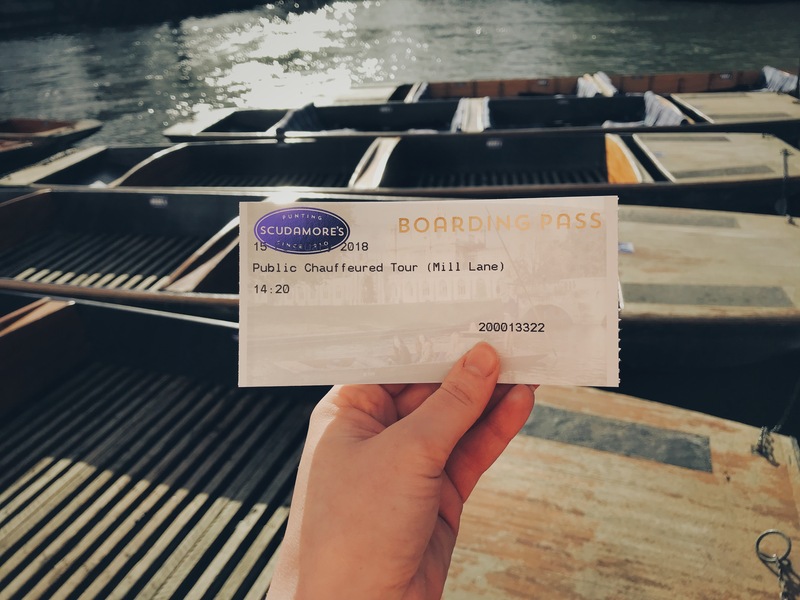 One traditional activity you’d be a fool to miss on your Cambridge day trip is a punting tour along the beautiful river Cam. There are several different companies that offer the opportunity to hire your own ‘punt’ for the day. However, since everyone we saw on the river seemed to be having trouble controlling their boats, my friend and I decided to save ourselves the stress and opted for a guided group tour with the Scudamore Punting Company. Booking online in advance, our tickets were only £15 each which, for a 45minute tour is a pretty good deal. If you’re looking for something a little more private/romantic Scudamore also offers private tours for £30! Cruising along the river is such a relaxing and charming experience, it also allows a unique look at the University of Cambridge’s famous colleges including Kings, Trinity, Clares and St Johns. Having a guide also meant we got to learn a great deal about the university’s fascinating history. Without a doubt, the most famous of the attractions in Cambridge is Kings College Chapel. Taking over a century a build, it has the largest fan vault ceiling in the world. 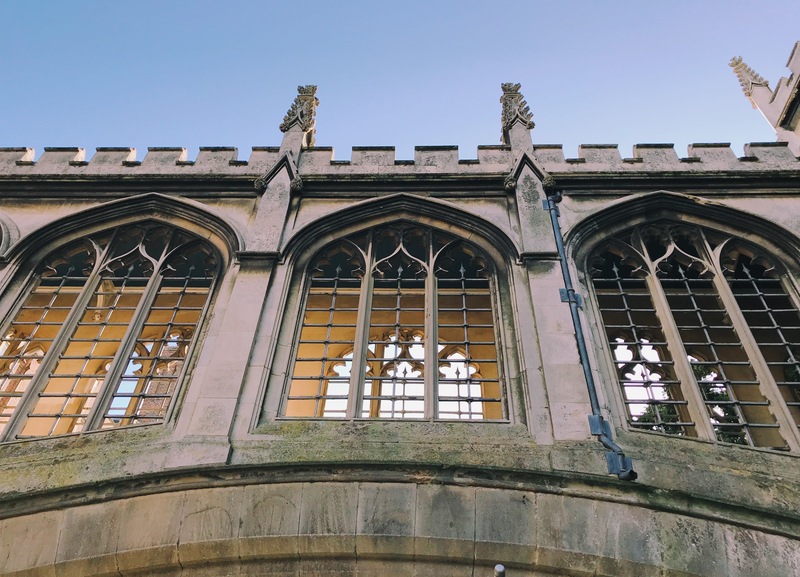 pair this with gorgeous stain glass windows and intricate carvings, and its really no surprise that the capel is said to be one of the best things to see in Cambridge! In this way, a visit to King’s College Chapel should definitely be on your Cambridge Itinerary. Sadly on my own ‘one day in Cambridge’, I made the rookie error of not checking when the chapel grounds close (3pm for those that are wondering). My friend and I, therefore, missed the opportunity to tour the chapel. But seeing it from the outside is still an amazing experience! Despite not being able to visit the inside of Kings College Chapel, we were still able to appreciate its beauty thanks too Great St Mary’s Chruch, which sits opposite. Although its chapel is quite pretty, it’s the Church’s Tower which makes Great St Mary’s a must visit on your ‘One Day In Cambridge’… For £4 (£3.50 for students) you can climb to the top of the tower and experience panoramic views over all of the famous Cambridge Sights (including Kings College Chapel). 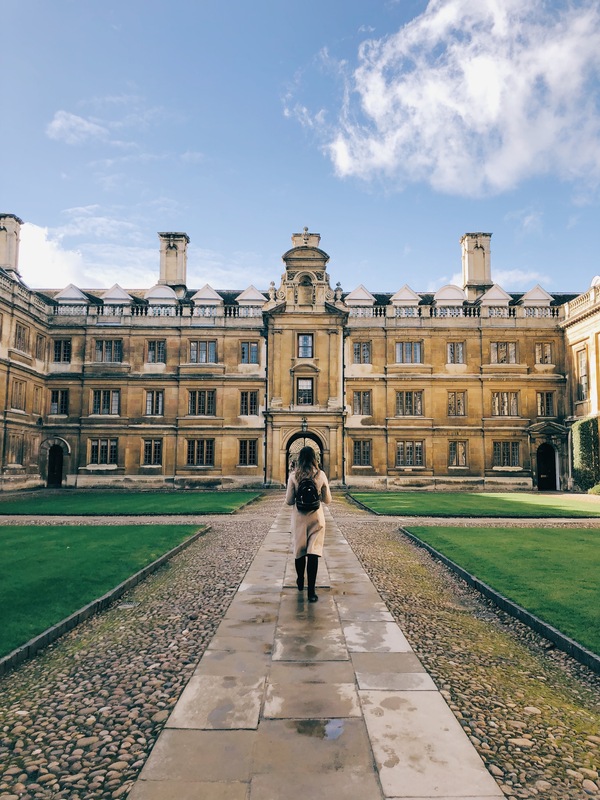 A day trip to Cambridge wouldn’t be complete without taking the time to explore one or more of its university colleges on foot! During our Punting tour, St John’s was the college which (thanks to its amazingly grand building) called to me most. 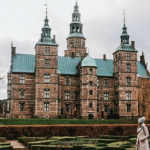 However, we realised that it costs £6 to visit the grounds of St Johns… Short on time (and money as students) My friend and I decided to instead tour the beautiful courtyards of the lesser known colleges which you can enter for free! The architecture of the buildings throughout the centre of Cambridge are simply stunning. It’s therefore really not hard to see why so many famous academics have chosen to study in the town throughout the years. In this way, simply wandering around the towns buildings was probably my favourite part of my Cambridge day trip! NOTE: Kings College Chapel and the rest of its grounds also cost £7 to enter. Since Cambridge grew from a small settlement that surrounded the first bridge over the river Cam, it’s no surprise that the town is now full of beautiful and unique bridges. Its most intricate is arguably the ‘bridge of sighs’ which was inspired by the bridge of the same name in Venice. It’s best seen from the river (another reason to book a punting tour) but you can also view the beautiful structure from a bridge opposite. Either way, it’s a must see during your 1 day in Cambridge. End your ‘One Day In Cambridge’ by exploring the many stalls at the centrally located Market Square. The market sells anything from fresh flowers and fruit to souvenirs and sweets, making it the perfect place to do some unique shopping in Cambridge. A short walk away from Market Square, Regent Street offers a great variety of bars and international restaurants. Venturing down the side streets leading off from here you’ll find many more independent restaurants and cafes where you can fill your stomach during your Cambridge day trip. 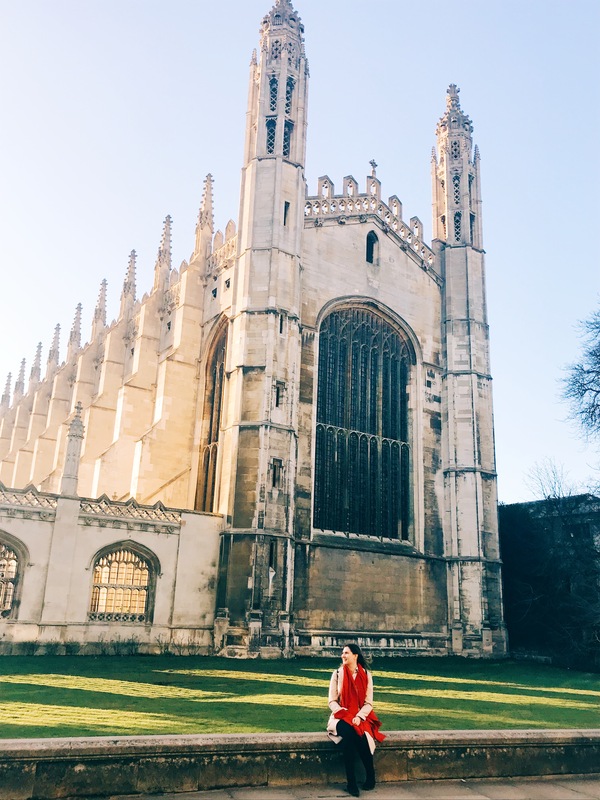 My one day in Cambridge was magical and I left with the feeling of wanting to return as soon as possible! In this way I thoroughly suggest going on a day trip to Cambridge if you have time during a visit to London. 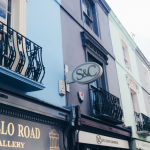 I hope this post provides ideas of what to do in Cambridge! But, If you have any more suggestions of things to do in Cambridge let me know in the comments below. I lived in Essex for 26 years and never took a day trip to Cambridge! I think I missed out! I’ll have to go on a visit back home! I feel you its somewhere I’ve always known about but it took needing a place to show a friend around for me to finally visit!! What a beautifully preserved town! I love all the ornate architecture, especially King’s College Chapel. It’s so massive! 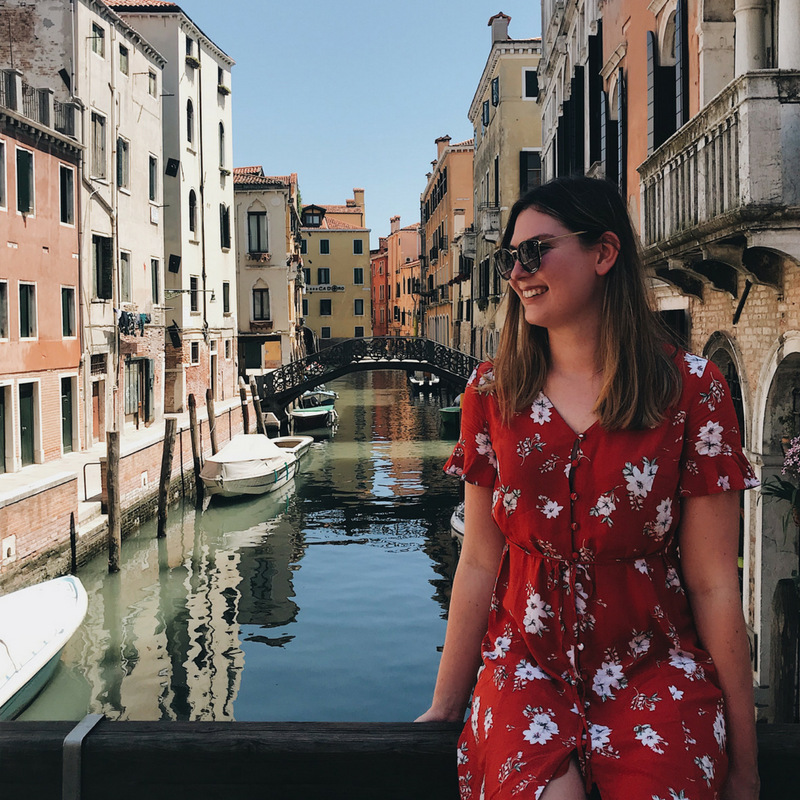 I grew up in Cambridgeshire (but like you, we lived about an hour away) so whenever I visited it was more for shopping or to head to the pub with friends. Looking at this, I think I should probably have done more of the touristy things! I mean, I’ve never been up St Mary’s church tower! What a fail!! I lived in Cambridge for a couple of years as a teenager and we always LOVED punting in the summer. There is nothing better than hiring a punt and bringing strawberries and prosecco. Haha I always feel that we take the places we call home for granted and don’t explore fully! Great post! Those universities are just stunning. They’re so pretty! It about an hour on either the train or driving (although it may take a little longer to drive if there’s traffic)! Oh wow! Great pictures. Cambridge looks and sounds lovely. Next time I am in London I will go there for a day trip. Thanks for sharing. Cambridge seems so charming and astonishing. Your pictures left me speechless. Thanks for the awesome suggestion and recommendation for a day trip when in England! 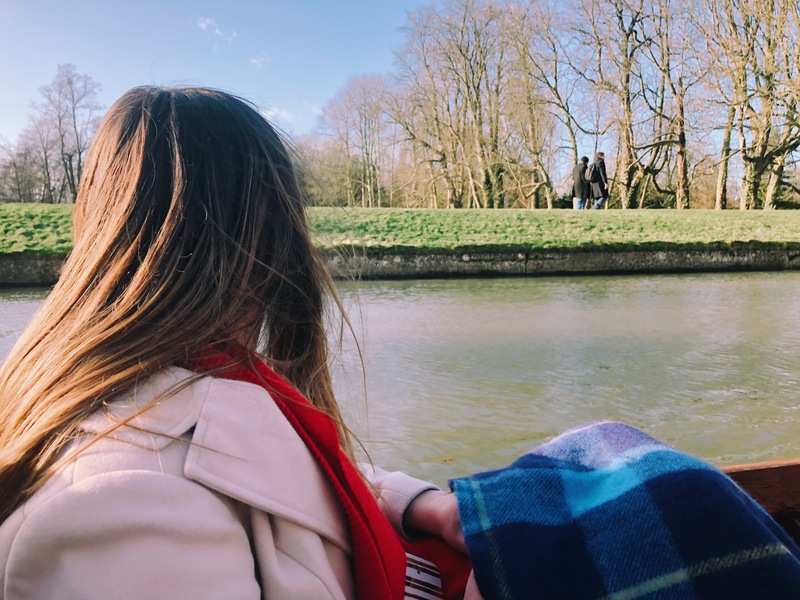 Great post and glad you enjoyed your day in Cambridge. I’m not sure who your guide to the colleges was, but the founder of St John’s (Lady Margaret Beaufort) definitely didn’t murder the founder of Trinity (Henry VIII)! Maybe they meant Henry VIII was responsible for the death of St John Fisher? I really need to inject an ounce of your travelling bug in to my life! I love it but I always prioritise my money on other things when I shouldn’t! I went to Cambridge on a trip in school because apparently I was gifted and had a chance of going there…let’s just say I never made it back!! It was an incredible university though, the whole place is just bedded in so much history and culture! It’s certainly difficult not to go shopping etc instead! ;) My school never suggested that I could get in haha but it’s certainly a cool place!